Skygate Dental understands when it comes to treating a bad wisdom tooth Brisbane can be an expensive place for an extraction. This is why we offer a flexible payment plan option for our patients. You can view more details of the payment plans available here. Upper 8’s are the third molars in your mouth. In the general population wisdom teeth start to erupt into your mouth around the ages of 18-24. In most cases there are four third molar teeth; however, it is not uncommon to be missing one or even all four. Will It Be Necessary To Remove My Wisdom Teeth? In some circumstances third molar teeth can cause trouble if there is insufficient space available for them to erupt; or their position is not in a favorable relationship. If their position or the available space is not sufficient, then often the tissue or gums form a less than ideal relationship. This often leads to difficultly cleaning and in some instances allows for infection to develop. In some cases, because wisdom teeth can be very difficult to clean it can lead to decay. More troubling is that often it not only leads to decay on the wisdom tooth, but also the neighboring second molar. In select cases a wisdom tooth may not need removal and the tissues can be readapted with a laser to allow for ideal cleaning and oral hygiene. This procedure is called an operculectomy. Will Antibiotics Help My Infected Wisdom Tooth? In emergency situations, antibiotics and antiseptic mouth rinses can be prescribed to help resolve the gum infection around a wisdom tooth; however, this does not help treat the underlying cause (the wisdom tooth itself). This type of treatment would only be considered of a short term benefit. It is very likely that the pain and infection will re-occur if an impacted wisdom tooth is the culprit. If your third molars need removal, this treatment can often be undertaken here at Skygate Dental. In most circumstances, wisdom teeth can be removed under local anesthetic. Furthermore, if you are feeling particularly nervous or worried, often relaxing medication can be prescribed or conscious sedation. If the wisdom teeth are considered high risk or you would prefer to have a general anesthetic and be sleeping during the procedure, then a referral to the oral surgeon will be made. Are There Any Risks Involved Removing The Wisdom Teeth? In healthy individual’s surgical risks are often low; however, for individual who are on many medications or are medically compromised there are increased risks and precautions needed. Generally, the risk for mildly impacted wisdom teeth is very low; however, with any surgical procedure there are associated risks with wisdom teeth removal. Some of the risks would include bleeding, infection, and the risk of damage to the dental nerve. The degree of risks changes greatly from patient to patient, your dentist will discuss in more detail. 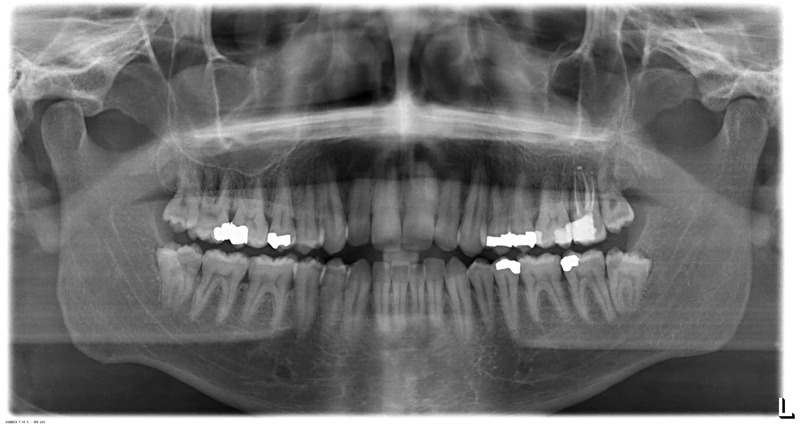 What Can I Do To Check To See If My Wisdom Teeth Have Enough Room? If you are concerned about your wisdom teeth do not hesitate to contact the Skygate Dental team. So after an appropriate consult and options available have been discussed an assessment will be made to determine if you the teeth need removal. In most cases further diagnostic information will be needed to evaluate the position of the teeth. This is done using radiographs and or, an OPG or a Cone beam CT Scan.